Back from a whirlwind east coast tour, played some rad shows and met lots of great new pals too – including Ilse and the CHMA crew, who were nice enough to put on a killer all-ages show for us and house us in Sackville NB. People on the east coast are seriously the coolest, nicest folks out there. I am still catching up on emails and phone calls so if you are waiting on a response from me, please be patient and I’ll get back to you asap. This week is also really exciting at CKUT because we’re getting ready for another edition of our biannual Total Eclipse concert series. If you’re in town May 8, 9, or 10th be sure to check out these three insane gigs. Full details, including facebook events for each night, are all on the CKUT music blog. 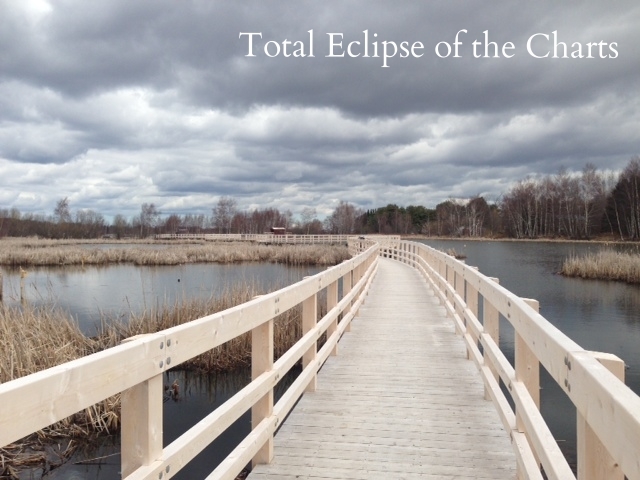 This edition of Total Eclipse also serves as the launch for a very special compilation album we’ve been working on for the past several months. On Thursday, we’ll be unleashing this whopper 2CD/double cassette collection of live in-studio gems at the Casa, where you can also catch many of the album’s performers as they kick off the series. We made a very limited run of these albums, so get ’em while you can. . . This entry was posted in Charts on May 7, 2014 by admin.